Connect with over 5,880,000 members. Share your ideas and CAD models. Download and upload to the largest collection of professional CAD models anywhere on the internet. An online resource to learn from and interact with engineers and designers like you. Show off your skills and win prizes in professional design challenges sponsored by companies like NASA, GE and Stratasys. As an online community of nearly 5 million product designers, engineers, students, and manufacturing professionals, GrabCAD offers a wealth of useful information and knowledge – and we want to share the very best of it with you week in and week out! The Digital Thread is GrabCAD’s free weekly newsletter to help make your life easier. The Supercar System challenge is a follow-up to the one of the most popular challenges in GrabCAD History. With $5,000 in prizes on the line, and the chance to be part of the actual body design team at the company’s 20,000 sq. ft. factory in Las Vegas, you don’t want to miss this one! One of the goals of these Fab Labs is to foster entrepreneurship and workforce training in digital fabrication manufacturing skills. Digital Badges are a new type of "micro-credential" certification program perfect for verifying the skills attained for operators and technicians in the New Collar Workforce. 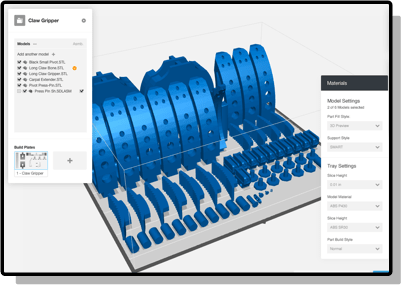 Instructions on how to create physical, repeating, textures you can FEEL and TOUCH on your 3D prints, using a new feature found in SOLIDWORKS 2019. A free and simple way to share and manage your projects. 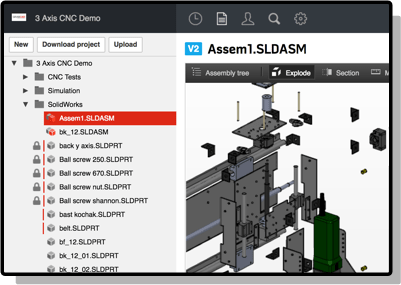 Workbench is a CAD collaboration solution that makes it easy for engineers to work together and manage projects. Professional 3D printing made easy. Simplify your Stratasys 3D printing workflow to get professional quality 3D printed parts faster and simpler.